For a week or two in mid-spring, there is magic. I’m talking about that ethereal time between seasons when the tree leaves have started to emerge but are not fully open. The star magnolia, the Juneberry, and the redbud float their blossoms on the fresh spring air. The grass has started to grow but has not yet been cut. It’s at this time that it’s most apparent that our lawn is not a monoculture. Our lawn turns into an ephemeral garden for a magical week or two. Besides the familiar dandelions, several other delicate wildflowers burst into bloom, including lady’s smock (Cardamine pratensis). 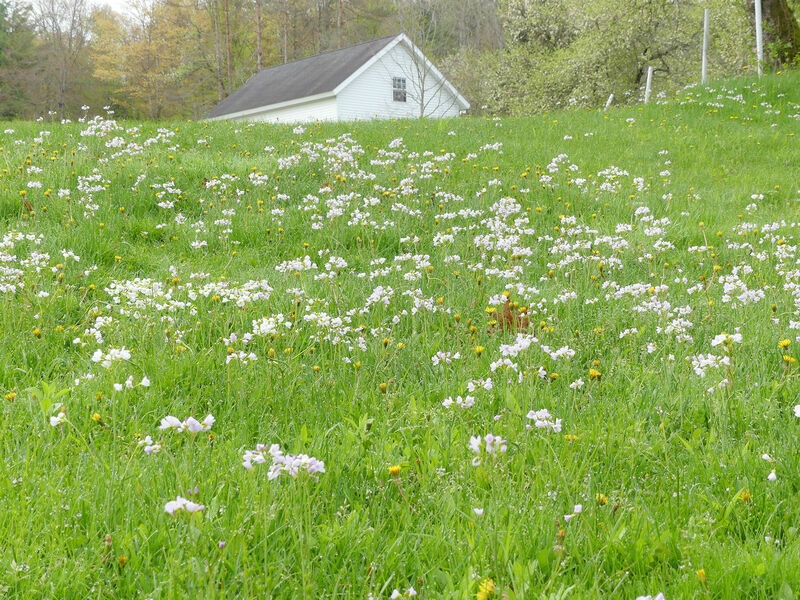 Lady’s smock grows in damp meadows, and our lawn is typically pretty damp in spring, thanks to the snow melt and the spring rains. Lady’s smock is also called cuckoo flower, because it’s supposed to bloom at the time one hears the cuckoo call. 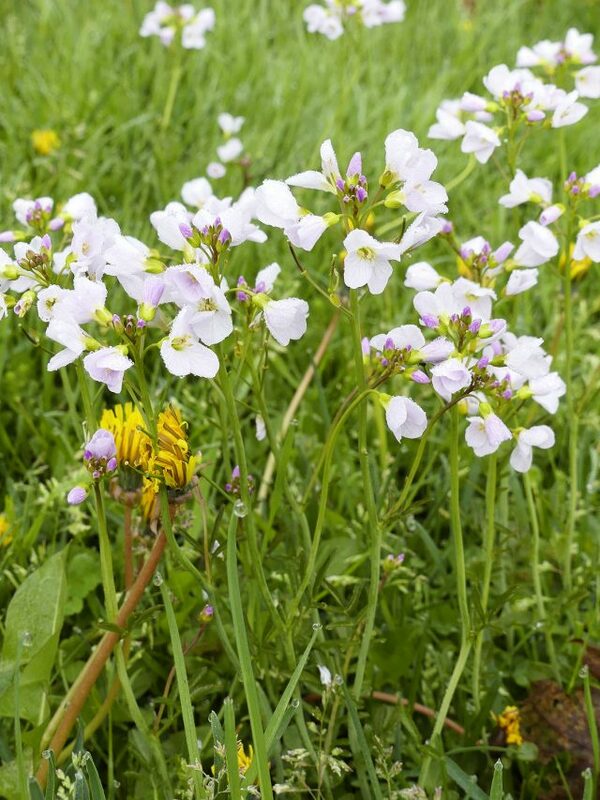 Scientists haven’t made up their minds if lady’s smock is native to North America or introduced, but the name “cuckoo flower” is probably of European origin, as is the bird. Bluets (Houstonia caerulea) are far less common than lady’s smock, and more treasured because of their scarcity. 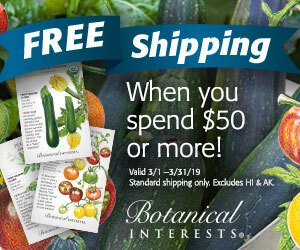 I tried digging some up and growing them in my garden, to no avail. They don’t show up in the same spot each year, either. I would just love to see pools of these sky-blue stars in my lawn. They are also native to North America. 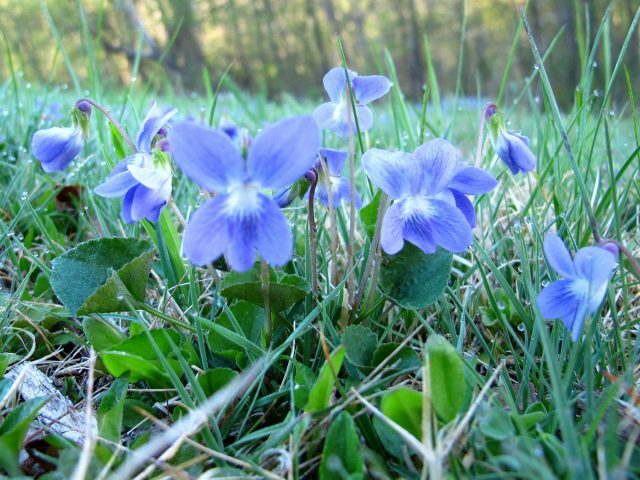 Other parts of our lawn are filled with violets. Viola sororia is native to North America. It is a sad commentary on our society that violets are considered lawn weeds. No! No, they belong there, as do the dandelions and the lady’s smocks. The concept of a “flowery lawn,” as implemented by Chanticleer, the public garden in Pennsylvania, should be more widely adopted. 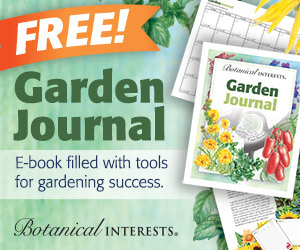 You can read about it in The Art of Gardening: Design Inspiration and Innovative Planting Techniques from Chanticleer, as I did. Their flowery lawn is deliberately planted with spring bulbs and summer annuals. The fine-leaf fescues are permitted to grow to their natural height of eight inches, surrounded by a frame of cut turf to reassure the viewer that such tousled extravagance is intentional. Our lawn was not deliberately planted with these native wildflowers but we certainly don’t try to rid the lawn of them. I sometimes try to imagine what our yard would look like if we only mowed paths in it, and permitted the rest to grow, mowing it all down only in the fall as Chanticleer does. Alas, our lawn is eventually cut. It’s easier to keep the woods at bay if you cut the grass regularly, otherwise the tree seedlings turn into saplings in a few years’ time. Also, it’s easier to play soccer on a mown lawn. At Chanticleer, they cut their flowery lawn once a year, in November. They don’t mention what they cut it with, but I bet it’s not a typical lawn mower. Even when cut, our lawn has flowers for most of the growing season, just not in the wonderful profusion of the first growth. Ken Druse, in The Passion for Gardening, calls our type of lawn a cropped meadow. Flowery lawn or cropped meadow, they both are far more pollinator-friendly than pristine swards of lawn grass religiously and dutifully shorn. I know there are homeowner’s associations all across the country that enforce that kind of monoculture lawn, thinking (probably correctly, at this point) that it keeps property values up. And while a flowery lawn or cropped meadow may not take more work, it takes a different kind of work, different kinds of tools (to mow foot-long grass at the end of the season), and most importantly, a different kind of mindset, a different way of thinking about lawns–which at this point, we (as a country) don’t have. Amazing flowers. Thank you so much for sharing with us! Lady’s Smock is new to me, but bluets grow prolifically on my property. They seem happiest in areas of unimproved, nutrient-poor sandy soil. I have had some luck transplanting small clumps to flower beds, but they don’t form the big carpets that they do in poorer soil. Your Bluets are beautiful, you’re right, very rare to see these – especially where I’m based! I planted mini clover years ago, to keep the grass greener. My village fines you if your grass gets higher than 5″. So I let violets, dandylions, clover and other flowers to happen there. But I must keep mowing or it will get too difficult to do. I am still finding it hard to imagine anyone ‘weeding’ violets from a lawn. Love, love, love this post Kathy! I wish we all had flowery lawns! Spring beauties are also a nice flowery lawn additive in the Spring. And clover! Since when did clover become so evil? It is now killed by most every weed and seed out there and why? It is actually good for the lawn being a nitrogen fixer. Bees and rabbits are in the know and we’re not? In some of the rural areas here I see people mowing acres and acres of lawn and think they just must love riding that mower and that’s why they cut so much of all that beauty down. I love the rolling tall grasses dotted with wildflowers and want to tell them let some of it grow! But you do point out the need for different tools … but just think if that drone of the lawn mower noise was limited to November? And you didn’t hear what seems the daily mow, weed whack, leaf blow symphony? When I killed a section of my lawn with a large mulch pile I didn’t even plant grass, I planted white clover. It’s just about disappeared by now but I always loved clover in the lawn. 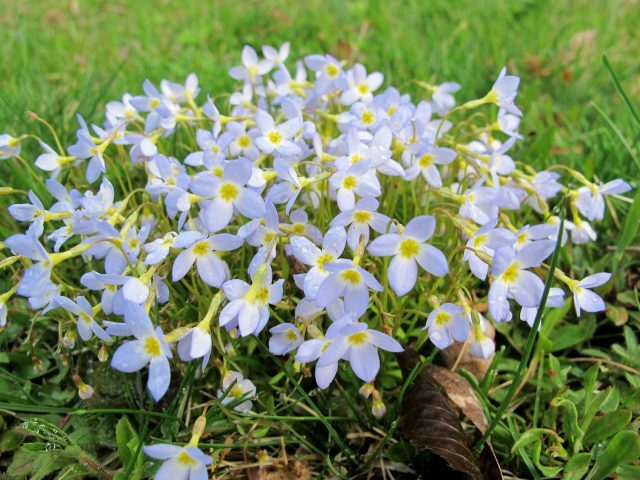 We had lots of bluets in Maine in our lawn – sure do miss that sight. Here in northern NY, violets, lots and lots of violets. This comment is way overgrown LOL! The clover is blooming now. It wasn’t blooming yet when the photos in the post were taken. Bluets are so sweet…wish they were in my garden. I let the lawnette of Danthonia alone until it goes to seed mid summer…Love native plants and grasses in a lawn. I love your lawn; but, alas, it would drive my lawnmower crazed husband wild! MUST MOW! MUST MOW! Our environments are very similar, Kathy. 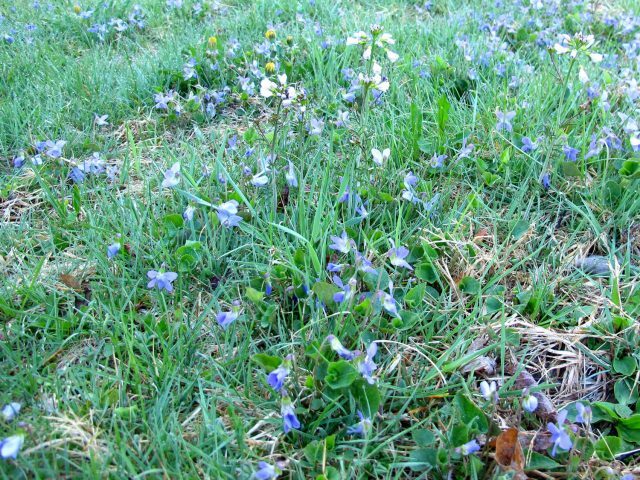 I also have viola sororia, bluets and lady’s smock growing in the lawn. Monocultures, begone! Well said, Kathy. Our back garden “turf” is changing over mainly to moss, and I love it. I can’t think of any reason to try to grass there. There are also many violets and dandelions, and so much more. We keep the front in turf grass, but we aren’t hyper about it being “perfect,” and we only use corn gluten meal as a pre-emergent “organic” treatment. 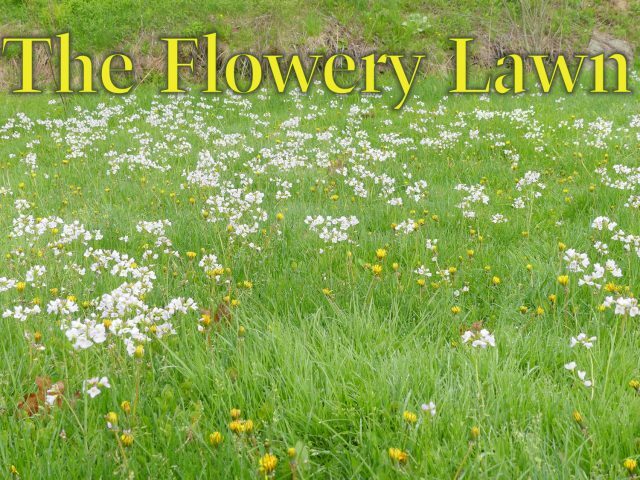 Your flowery lawn/cropped meadow is beautiful! You beautifully describe that time of year when the violets and redbuds are blooming. Love it. I love the cropped meadow but I live in the city with neighbors that would like a mowed green yard. I have added raised beds and slowing creating wildflower, and perennial beds leaving hoping to leave only small pathways of green grass. Thanks for sharing your open field of flowers! I leave my lawn until late May, just so the spring bulbs have the time to flower and die down. And even then I only mow part of the lawn, leaving a completely wild corner down at the back – where the chervil is as tall as myself! – and some semi-wild areas that I mow in autumn but otherwise leave alone as a “jungle” for my little cat to go hunting in. And to be honest, to see the wind blow through the tall grass is as pretty as any perennial border!